Japan has all but abandoned plans to export nuclear plant technology to Turkey, dealing another blow to a pillar of the Abe administration’s economic growth strategy. The government and Mitsubishi Heavy Industries Ltd. (MHI) had planned to play a key role in the construction of a nuclear plant in the Sinop area along the Black Sea coast of Turkey. But with costs expected to double from initial forecasts, the Japanese side decided it is no longer feasible to continue with the plan. However, officials are avoiding an outright announcement that the plan is being eliminated to save face for Prime Minister Shinzo Abe and Turkish President Recep Tayyip Erdogan who signed the 2013 agreement on cooperation for nuclear plant technology. Erdogan was prime minister when the agreement was reached. In seeking a better exit strategy, economy minister Hiroshige Seko plans to visit Turkey in January and propose a new energy development partnership to construct a coal-fired thermal plant with advanced technology that would greatly reduce carbon dioxide emissions. Abe and Erdogan met on Dec. 1 in Buenos Aires on the sidelines of the Group of 20 summit and discussed the nuclear plant plan. According to government sources, the two leaders confirmed that it had become increasingly difficult to pursue the plan given the expanded cost estimate. Initially, the cost for building four nuclear reactors was set at about 2 trillion yen ($17.7 billion). However, further studies in Turkey by Japanese officials led to a revised cost estimate of about 4 trillion yen, due mainly to stricter safety standards following the 2011 triple meltdown at the Fukushima No. 1 nuclear power plant. Turkish officials insisted on keeping the project at the initial cost level, leading to a stalemate in negotiations between the two sides. Abe has said that exporting social infrastructure, such as nuclear power plants and Shinkansen bullet train technology, would be an important element for economic growth. But his government has faced setbacks in its attempts to export Japanese nuclear plant technology. In 2010, an agreement was reached to construct a nuclear plant in Vietnam, but it was retracted in 2016. Another plan to build a nuclear plant in Taiwan was shelved in 2014. In fact, the only possibility of a Japanese company constructing a nuclear plant abroad now is a plan in Britain being pursued by Hitachi Ltd. But higher cost estimates have also led to uncertainty over that project’s future. Government officials obviously did not want to push MHI into a money-losing project in Turkey considering what happened to Toshiba Corp. after its U.S. nuclear technology subsidiary Westinghouse went bankrupt. 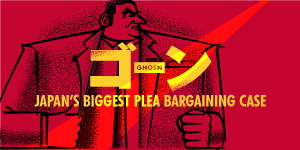 Toshiba suffered huge losses that forced it to not only abandon its nuclear plant business abroad but also sell off its lucrative computer chip business.